Authentique NOSTALGIA 12 x 12 Collection Kit ncm015 at Simon Says STAMP! ncm015 This item is on reserve until If you would like to reserve this item now, you may purchase it now with the rest of your order. We will hold your order now and ship your entire order as soon as this item is back into stock. If you would like your order to ship now, please place this item on a separate order. Success, Authentique NOSTALGIA 12 x 12 Collection Kit ncm015 has been shared! Includes 14 sheets of 12 x 12 inch double-sided printed paper and coordinating cardstock stickers. Authentique Paper is one of the hottest brands in paper crafting! Their vintage designs with a modern twist, printed on unique textures, sets Authentique apart. 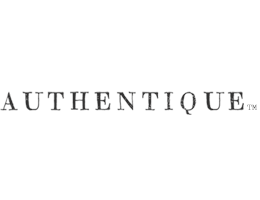 Authentique's designs are created with the mindset of enhancing the authentic side in each of us.